Synopsis: Miss Caroline Crispin is on top of the world. But she’s about to take a painful fall. Lord Ryland isn’t the man his father wanted him to be. But he’s about to make an excellent catch. Adam, Earl Ryland, just wants to get married and tend his country garden, away from the bucks, fops, and gossips who pester him to box like his late father. When this gentle giant meets his sister’s friend Caro—who parries his flirtations with double entendre that would make a barman blush—he’s smitten. But there’s a problem: she’s looking to him for a different sort of partnership. And it’s a risky one. 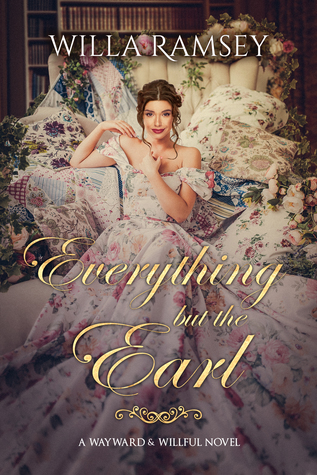 Review: This is my first regency romance book and it was so much fun! I’m actually reading it along side two other books which both happen to be pretty dark subject matter, so I wish I had drawn my reading out a bit longer to help get me through the darkness. But, because the story kept me interested, I just kept reading! It was just a truly fun read! I loved that the main character was feminist in a time where it wasn’t exactly popular to be and she fought not only for herself and her own freedoms, but those of other women as well. It was adorable and I loved the romantic relationship! I see that this is set up to be a series and I’m looking forward to more from Willa Ramsey! Thank you so much again to the author for sending a copy for review!